Wow, life has been busy with tax prep, Valentine’s Day, my youngest step-sons hip-hop dance competitions, snow storms, birthdays and so much more that my blog posts got left by the wayside. 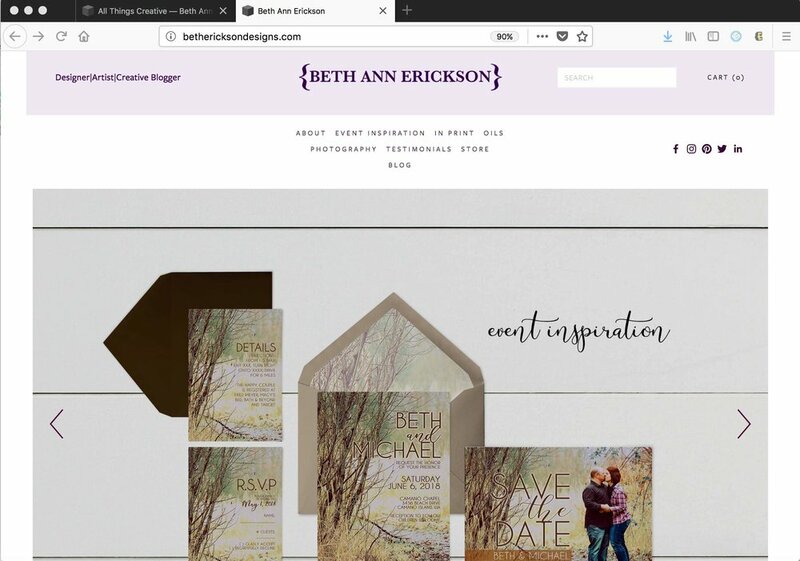 As I was out for a walk in the drizzling rain today it hit me that it was probably time to send out a little update with the exciting changes that have been happening at here at Beth Ann Erickson’s designs. This original oil paining on canvas is inspired by the idea that God’s protection over us is like an umbrella in the midst of the storms and his protection gives us the ability to face the storms of life, knowing that God’s desire is to refine and protect us. This does not mean life’s challenges will be easy or that there won’t be some pain involved. But, ultimately God has a good plan for us. I also finished two pieces in response to the daily art challenge I was trying to keep up with. One of which was “Destination Unknown,” the challenge was to create a piece using shades of one color. Along with starting to paint again, which I have to say I am so very excited about and have more paintings in process than just these, I have been revamping my website www.bethericksondesigns.com. The changes here are noticeable and much more polished than the previous design. They include new galleries of my event designs, oil paintings, photography and a new look to the blog which I think is much more user friendly. Along with those changes I have also opened my own store on the website where you can purchase my pre-designed invitations or order a custom invite without having to go through Etsy. (No worries, I won’t be closing my Etsy store). Other developments include an online store at www.fineartamerica.com, where you can purchase canvas, wood, metal, acrylic and photo prints of my paintings and photography in various sizes. Along with pillows, mugs, notecards, journals and much more with my pieces printed on them. Please visit new website and my Fine Art America profile at www.fineartamerica.com/profiles/beth-erickson. Creative tutorials will be returning soon. If you have any projects that you need help figuring out, please comment below and I will try to write a tutorial to help you out. Thank you for reading!